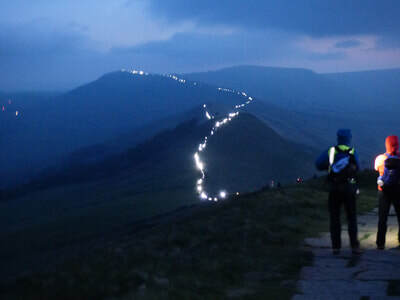 On 22 May 2018, I and hundreds of other volunteers gathered at Castleton in Derbyshire to light up the skyline ridge to create a photograph raising awareness of the campaign to repair path erosion. 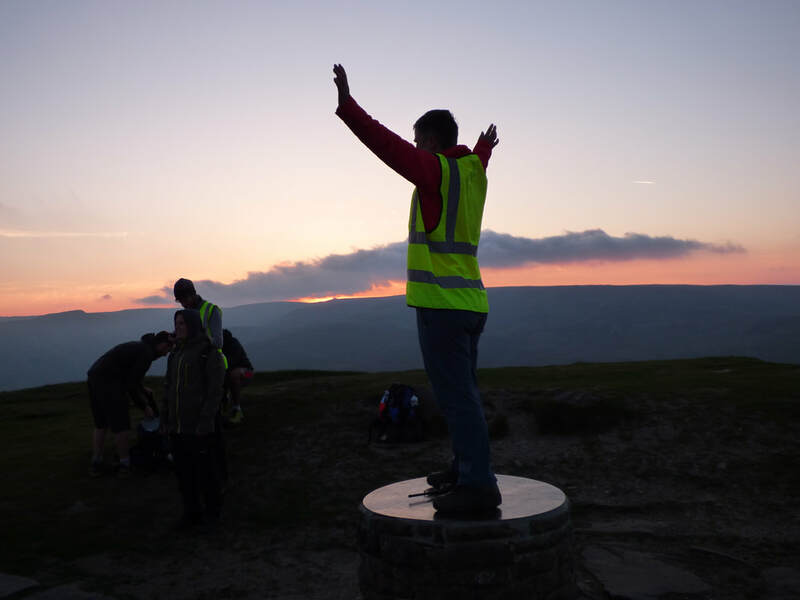 The campaign Mend our Mountains is looking to raise a million pounds for the next stage of the work. Although I do my best to tread carefully, I have covered a reasonable number of upland path miles so this was an opportunity to lend a hand - as well as being an interesting thing to do. Unusually for a mountain situation, the weather was good to us and it was a clear night - though the price to pay was a surprisingly cold and strong wind. I hope this was not too restrictive for the drones scheduled to picture participants. 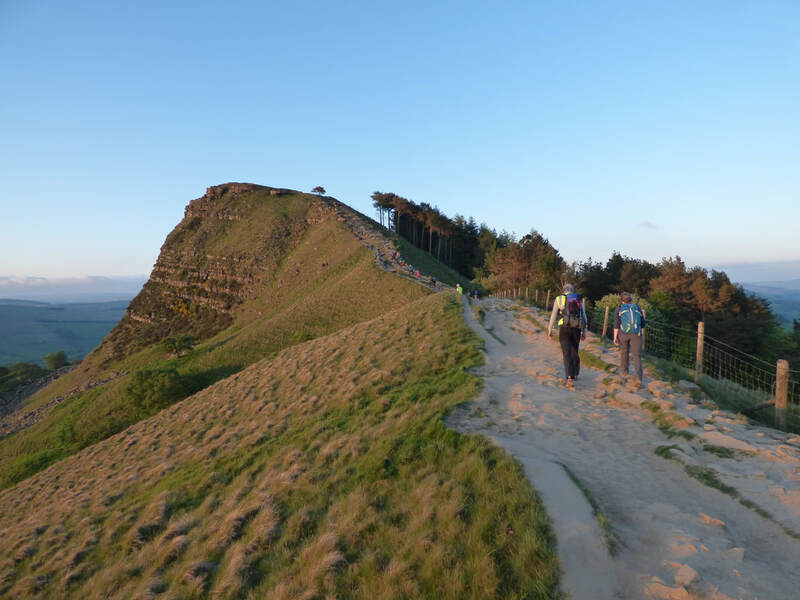 I'm not quite sure how it happened but I found myself in the first cohort out and so the last one back, covering the furthest most point of the ridge. It was great to be part of this event and to share a headtorch lit walk through the mountains with like minded people I had never met before.